Well after this unfortunate fail, I realized lofty goals are all well and good but I should really build my carpentry skills from the ground up. 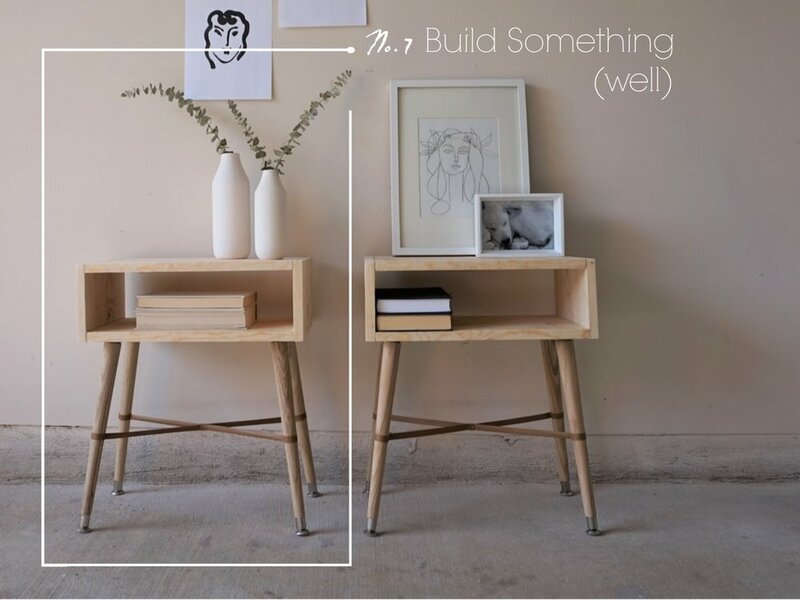 Hence item No.7 on my 2017 Furniture Flip Bucket List. But guess what guys... I built something! No really - I BUILT something (well). I used all the right tools in all the right places and I can't help but be so proud of how they turned out! And the best part is, you can build these bad boys too. I'm sharing the full tutorial over on Apartment Therapy today if you're game to hone your carpentry skills too. And if you're local to the DC Metro area (but not quite ready to roll up your sleeves and build your own), this pair is available for purchase! If you are interested in this pair or a custom order like it, please contact me at cate@stylemutthome.com. Six down, one to go. Catch up on the 2017 Furniture Flip Bucket List.